GET OUT OF THE BOX WITH YOUR STUDENTS - IMAGINE THE LEARNING POSSIBILITIES!!! 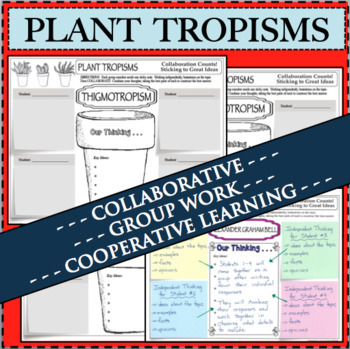 Get students learning deeper using this COLLABORATION and COOPERATIVE LEARNING technique. These strategies encourage communication and cooperation among students and in effect allows them to teach one another. Your students will be engaged in a fun learning activity that showcases their knowledge of the topic. NO PREP! 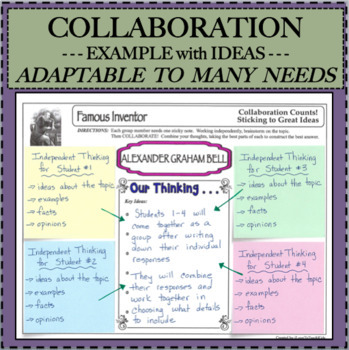 This collaborative activity would make a great summative assessment, interactive notebook page, study resource, an introduction for a unit of study, or used for review. THE POSSIBILITIES ARE ENDLESS!